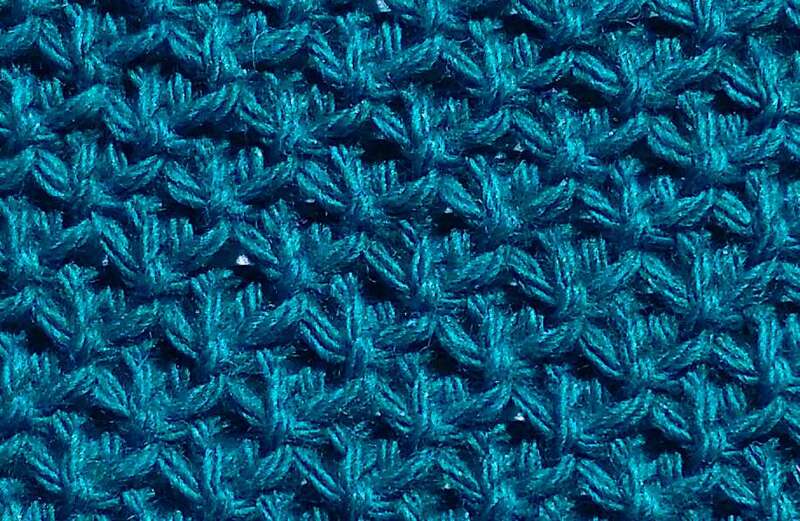 The best part about this month’s new stitch pattern is that it is so very easy to accomplish, with only four rows to repeat and a technique that is worked over just 2 pegs…nice! The most difficult part for me this time around was trying to decide what it most reminded me of to be able to choose a name, lol! When I look at this square, I see a pretty lattice design that is anchored with knots on each side, but I also see four-pointed little flowers, sea stars, and even water droplets. The more I got to looking at it, the more it seemed to be quite intricate and even a little mesmerizing. 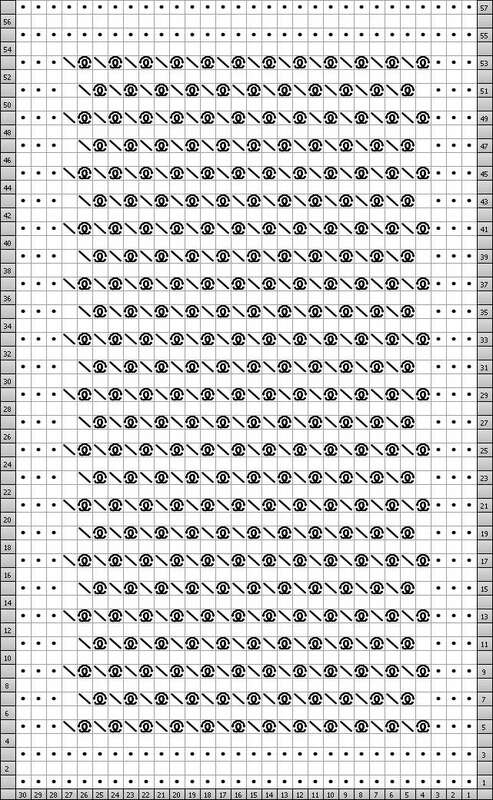 The knitting chart even turned out to resemble a sea full of rolling waves! Mermaids seemed the perfect idea to convey a little bit of mystery, along with all things sparkling sea and sand for the beginning of summer. I hope you think so too…Enjoy! 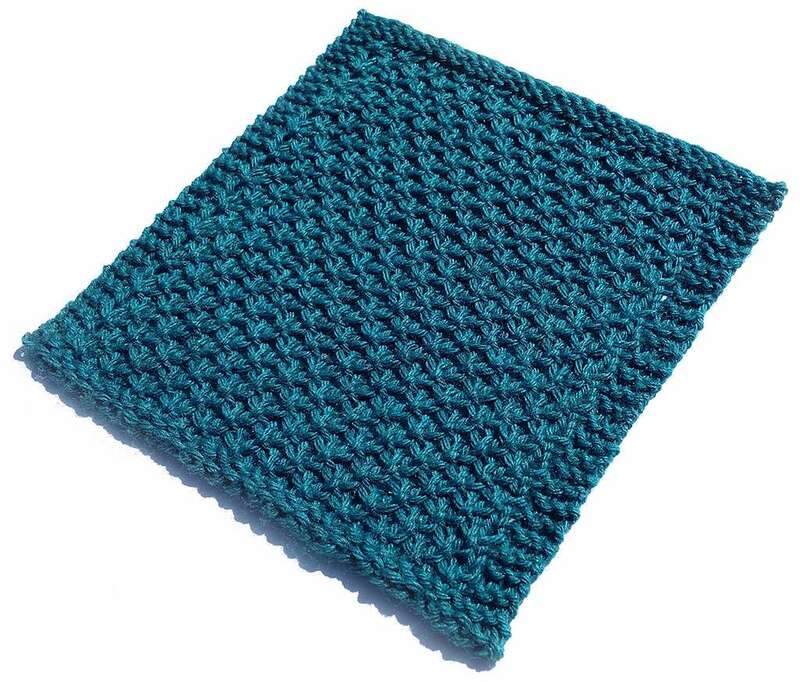 *For flat pieces of a greater size, simply increase the number of Repeating Pattern Rows inside the garter stitch edges for the length and width required, then complete with the Finishing Rows. The border edges may need to also be increased to coordinate with the number of increased Repeating Pattern Rows. 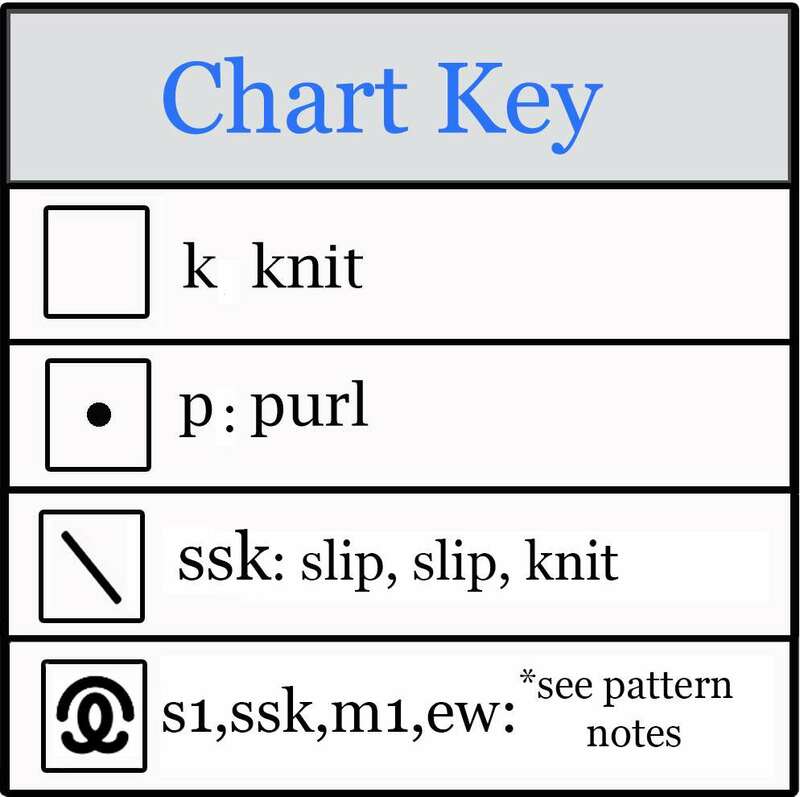 *When the pattern uses the term “knit” or “k”, please use the true knit stitch or the u-stitch, not the e-wrap. When the stitch requires an e-wrap, it will be noted. 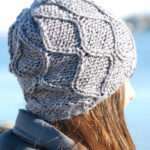 *All slip stitches (s1) for this pattern are completed by carrying the working yarn behind the peg(s). *For ease in reading the pattern’s directions below, the steps involving the pattern’s lacy stitch are placed inside brackets [ ] to let you know that they are all accomplished on just two pegs. Move the loop from the s1 peg to the ssk peg. Carry the wy behind the empty s1 peg to the ssk peg. 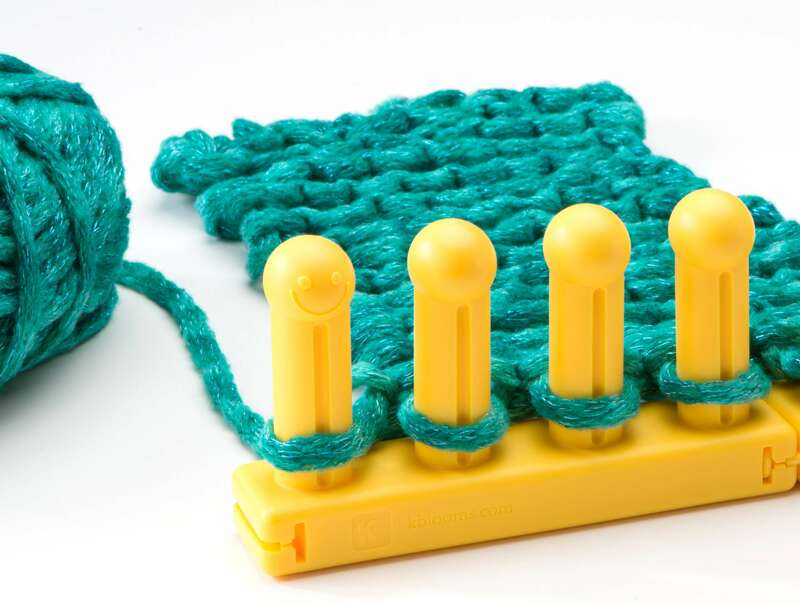 Knit off the first loop on the ssk peg and rather than letting the loop drop behind the peg, slide it back over the s1 peg for a “make one”(m1). Knit off the 2nd loop on the ssk peg. E-wrap the s1 peg and knit off. Move to the next 2 pegs in line and prepare to ssk. The wy will be carried behind both the original ssk peg and the newly empty s1 peg of the next 2 pegs in line. Row 2: *[s1, ssk, m1, ew], rep from *, k1. Row 4: k1, *[s1, ssk, m1, ew], rep from *. Row 5: p3, *[s1, ssk, m1, ew], repeat from * to last 3 sts, p3. Row 7: p3, k1, *[s1, ssk, m1, ew], repeat from * to last 4 sts, k1, p3. Rows 8-53: Repeat Rows 4-7. Block to an 8” x 8” measurement. This particular square is worked a tad smaller than 8″ x 8″, so that once blocked, the pattern will open up to show the eyelets at their best. A thorough soaking and pinning to the 8″ x 8″ measurement is required to achieve the proper size. 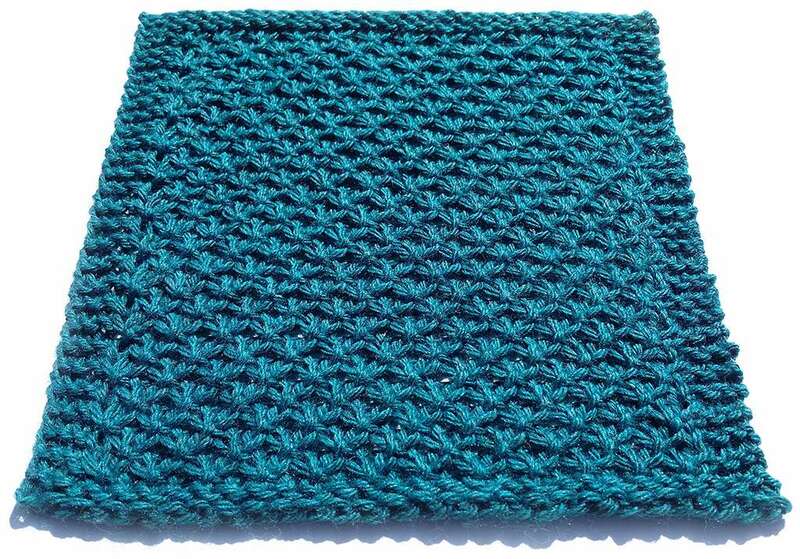 I love the mermaid scale stitch. 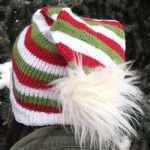 I have been searching for the “how to ” for this stitch. I am looking for a loom knitting pattern for the full mermaid tail for an adult and have had no luck finding one. Would you happen to have a pattern for the mermaid tail? 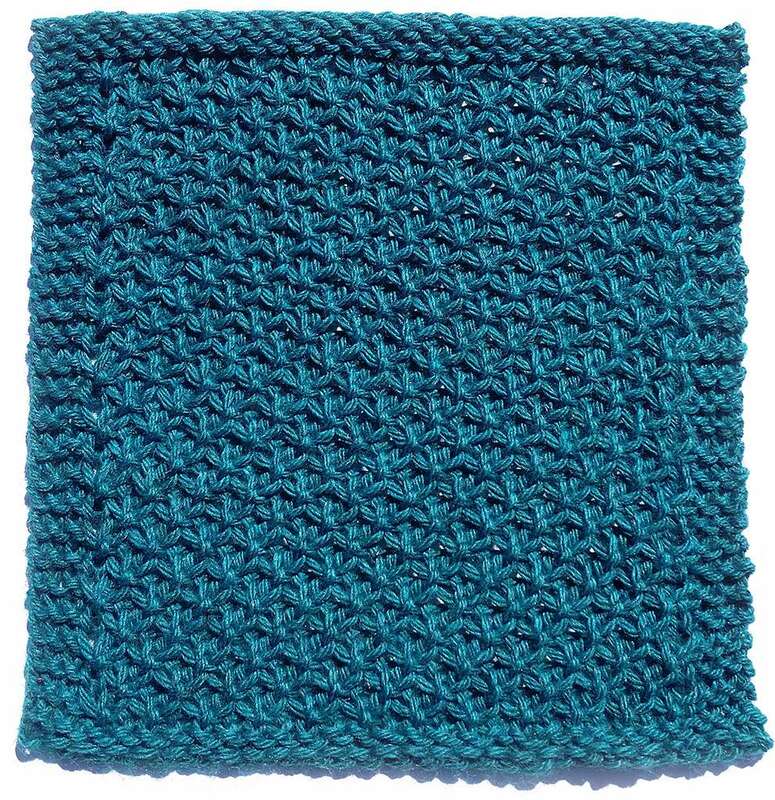 It uses the crocodile stitch, but you could substitute this Mermaid Scale stitch in place of it for a much simpler choice. I would love to see it when you have finished! This looks stunning. I’d like to make a scarf with this stitch. Would leaving off the garter edge on the sides make it curl? Thanks for the helpful video. I always look forward to your posts Bethany. Oh, wonderful, Cindy! I’m so happy to hear this stitch (and the others) are well received…thank you! Bethany, I love this stitch. My daughter in law wants a baby mermaid blanket as a photo prop. I believe this stitch will be perfect. Oh, I’m so glad you will find it useful, Carol! 🙂 I can’t wait to see your finished mermaid blanket!